Love it or hate it, the holidays are upon us. Just for fun, here’s what each introverted Myers-Briggs personality type secretly wants this season. Can you relate? Want something done right — and on time? Give that project to an ISTJ. People of this personality type are known for their hard work, dedication, and follow-through. And the holiday season is no exception. While everyone else “oohs” and “ahhs” over Aunt Myrtle’s homemade rugelach in the dinning room, the ISTJ is planted dutifully in the kitchen, loading the dishwasher. Or hanging the Christmas lights and wrapping the presents. No, the ISTJ will not relish curling the ribbon or signing their name in glitter pen (how impractical), but they will complete the tasks on the family to-do list with surprising speed and efficiency. This time of year, nostalgia is around every corner, and ISTJs will enjoy revisiting family traditions and reminiscing about holidays past. They enjoy the familiar feeling of Christmastime, even if they’re not the ones leading the caroling or chatting up the relatives. If only they had a little more time to get things done. Just one more trip to the outlet mall. Or better yet, an uninterrupted afternoon to finish their latest household project in silence. ISFJ — a little help, please? Baking cookies, decorating the house, picking out just the right presents — for the tradition-oriented ISFJ, there’s nothing better! They aim to please and relish getting all the little details just right, from their nephew’s sweater size to their daughter’s best friend’s food allergies. Few personality types are better equipped to bring the magic of the holidays to life for their friends and family. But, being an introvert, the ISFJ may work so quietly and swiftly in the background that others are unaware that they’re teetering on the edge of burnout. Yes, ISFJs are masters of holiday cheer, but that doesn’t mean they couldn’t use a little help, please. Don’t expect the ISFJ to directly ask for it (they wouldn’t want to burden you). Instead, find them in the kitchen and ask how you can lend a hand. For the ISTP, Thanksgiving, Christmas, and New Year’s Eve are just days like any other. Shopping, baking, and attending holiday parties does little to excite the mechanically-oriented ISTP. And don’t think that putting your foot down and making them do it will be any better — there’s little an ISTP hates more than being forced. The quiet rebels of the Myers-Briggs world, ISTPs would gladly trade all the holiday hubbub for some time to tinker in their garage or workshop alone. Give them a video game to play or a robot to build over small talk with distant relatives any day. Of course, ISTPs will still probably make an appearance — if for nothing but to sit back and watch what offends everyone this year! Like their Judging counterparts the ISFJs, ISFPs will enjoy spending time with family and friends during the holiday season. The spirit of giving is close the ISFP’s heart, and they may find themselves feeling quite happy as they enjoy the aesthetics of the winter season and bake, decorate, or shop. Similar to ISFJs, ISFPs tend to be very good at gift-giving, knowing just the right present for everyone on their list (even if they are the ones closing down the mall on Christmas Eve with last-minute shopping). They hate the rampant commercialization of the holidays and instead enjoy the deeper meaning the season brings. More than anything, they just want to kick back with those closest to their heart, keeping it casual and chill. But don’t expect the same old thing you did last year. Not tied to tradition, ISFPs are free-thinkers who are always putting a unique twist on everything they touch. If last Christmas was spent in a cozy, snow-swept cabin, this year, they might be planning a family snorkeling trip to the tropics. What does an INTJ want for the holidays? Exactly whatever they’ve been silently planning in their head since August. As Thinkers and Judgers, INTJs are known for their mastermind powers of strategy and planning. Often, they have a very specific vision for how they want things to go, and the holidays are no exception. They’ve got it all figured out, from the wine to pair with the appetizer to how to optimally arrange the presents under the Christmas tree. INTJs may find themselves annoyed by the seemingly trite “feel-good” sentiments of Christmas. And why waste time and money wrapping presents when you’re just going to unwrap them and toss the paper later? Unlike their Feeling counterparts, INTJs won’t fall for typical holiday trappings — and don’t be surprised if you get a three-point lecture on the inefficiency of it all over dinner! Rather, INTJs may enjoy letting their Extroverted Sensing side out to play during the holidays, imbibing an expensive whiskey or surrounding themselves in rich, dream-like winter aesthetics. If there’s any type that sees through the razzle-dazzle of the holidays, it’s the INFJ. From their wise-man-on-a-mountaintop view, they see how all the pieces fit together — and what’s behind the curtain, Toto. Yet, in true INFJ bundle-of-contradictions form, they find themselves torn between their ideals and what makes others happy. They’re disgusted by the over-commercialization of Christmas, yet they obsess over picking out the perfect gifts. They’re not handcuffed to tradition and “the way we’ve always done things,” but they see how humans need tradition to feel connected to something larger than themselves. They’re exhausted by small talk and playing the extrovert, but they will do just that at holiday gatherings because they want everyone to have a good time. They know that a small ripple of holiday cheer can make big waves over time. INFJs simultaneously love the holidays and hate all that comes with them. So what do they secretly want this season? Someone who understands their contradictory nature (for the first time in their life ever) — and something (anything!) real. No frosted gingerbread houses or mistletoe hung just so here. INTPs are interested in the ideas behind the holidays — particularly their psychological ramifications. Deep-thinking and philosophical, this personality type enjoys playing with possibilities. What would the holidays be like if history had played out differently? On a psychological level, what is that that appeals to people about the act of gift-giving? Must the holidays remain in their current state, or can they be bent to better serve the needs of the people who celebrate them? Sure, INTPs may show up to holiday gatherings and play the role of the good spouse or friend. But what they really want this season is time to think, analyze, and dream. INFPs are the type most likely to commit random acts of kindness. That’s true during the holiday season, and any other time of the year, too. So it makes sense that what INFPs really want for the holidays is a little peace on earth and goodwill toward their fellow man (or woman). Sensitive and empathetic, they just want everyone to get along. INFPs hate all forms of injustice and inequality, and when they see those who are hurting, they want nothing more than to wrap them in a gentle hug. 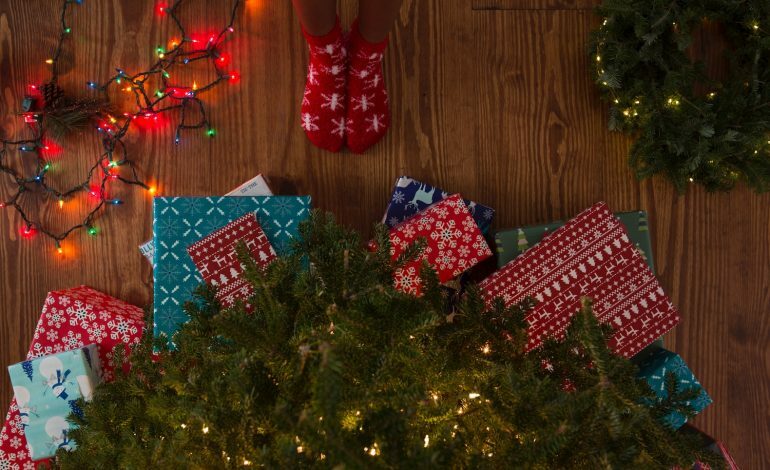 Sure, this introverted personality type will enjoy certain aspects of the holidays, such as showing the ones they love how much they mean to them. But if they could wish on the star on the top of their Christmas tree, they’d give the world what it really needs now more than ever — a little kindness. Oh, and a puppy. Can we get a puppy up in here?